The South Georgia-based nonprofit has outfitted a new Plains clinic with state-of-the-art telehealth equipment. This program in Plains will become the model for providing high quality health services to rural areas. 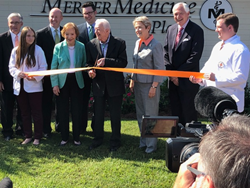 Former U.S. President Jimmy Carter, his wife Rosalynn, and officials from Mercer University and Global Partnership for Telehealth, celebrated the opening of Mercer Medicine Plains, a new primary care clinic in downtown Plains, Georgia, yesterday. 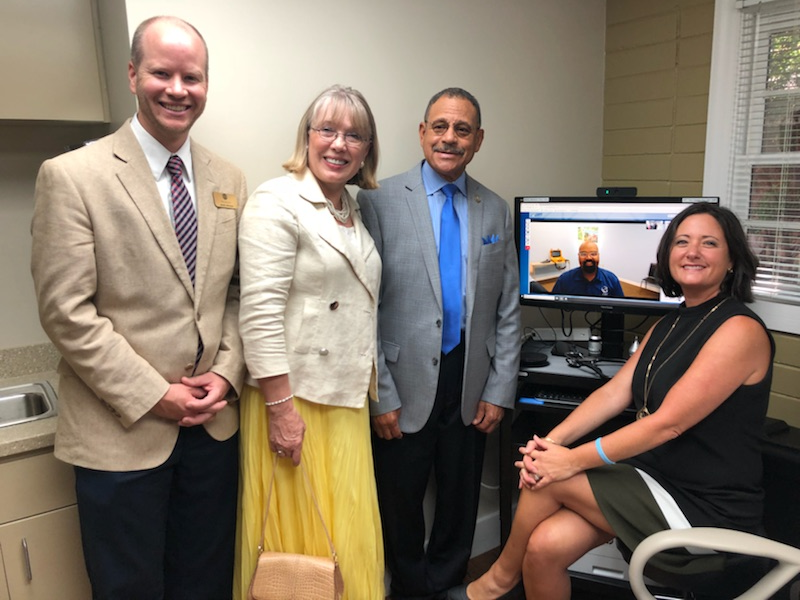 Included in the ribbon cutting ceremony was the unveiling of a new telehealth suite provided by the Waycross-based nonprofit Global Partnership for Telehealth. According to Rena Brewer, CEO of Global Partnership for Telehealth, the implementation of telehealth at Mercer Medicine Plains will allow patients to see Mercer-based specialists without making the nearly 80-mile trip north to Macon. Before the new clinic’s opening, President Carter’s hometown had been without a local medical provider since the closure of the Plains Medical Center in March 2018, making it the exact kind of medically underserved community Global Partnership for Telehealth was created to help. In addition to peripheral scopes and other hardware necessary for a telemedicine consult, Global Partnership for Telehealth also provided the clinic with its new web-based telehealth platform, Pathways. According to Brewer, the company designed Pathways after more than twelve years of rural and urban telehealth implementation and with the input of hundreds of clinical telehealth providers. After a speech by President Carter, in which he cited his passion to see access to healthcare for not only his community, but for all underserved communities, those attending the ribbon cutting ceremony experienced a live demonstration of a telemedicine consultation, courtesy of the Global Partnership for Telehealth team.